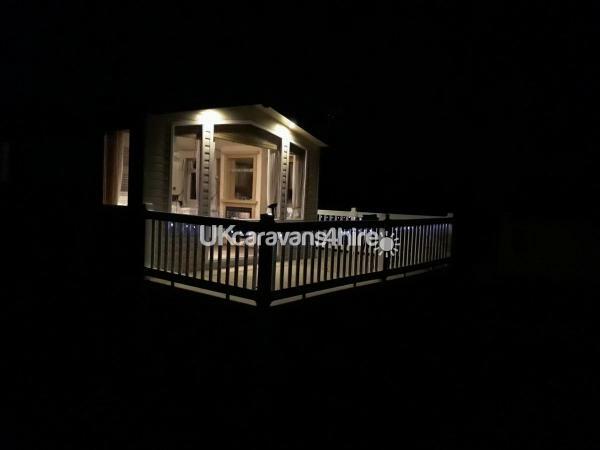 Additional Info: Garden area, decking providing super views, free WiFi, patio set, sun chairs, well equipped kitchen, gas cooker, gas combi-boiler (providing on demand hot water). DVD player on TV. On site laundry, office and information. 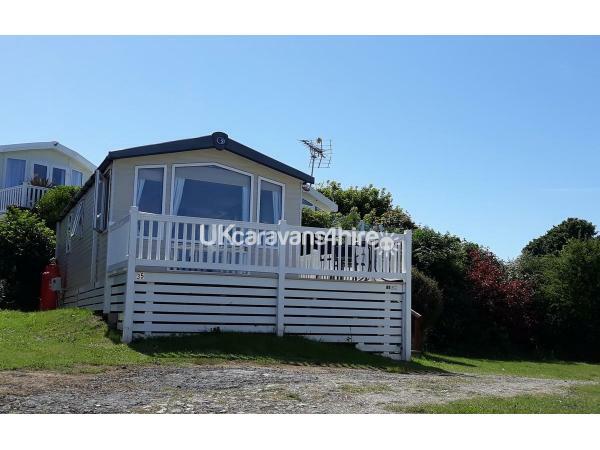 Relax and enjoy a super holiday home in a quiet setting with fabulous sea and hill views. 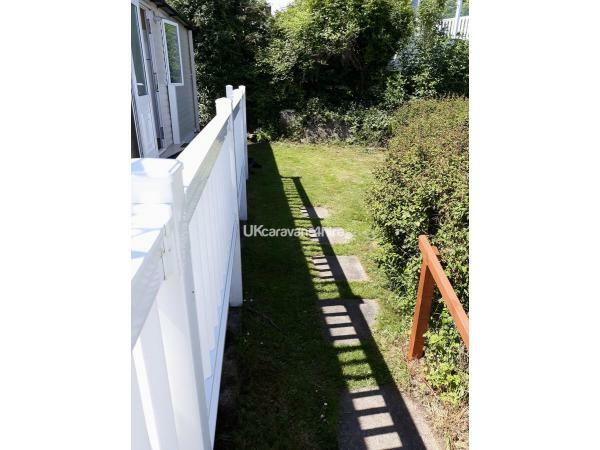 Situated in a cul-de-sac with views to the bay, Bournemouth, Isle of Wight and further, this lovely holiday home has a large decking area and private garden area where you can enjoy the peaceful setting, with just the sound of birds and the steam train announcing its journey. Would suit 2-4 people looking for a quieter holiday, but with amenities close to hand. 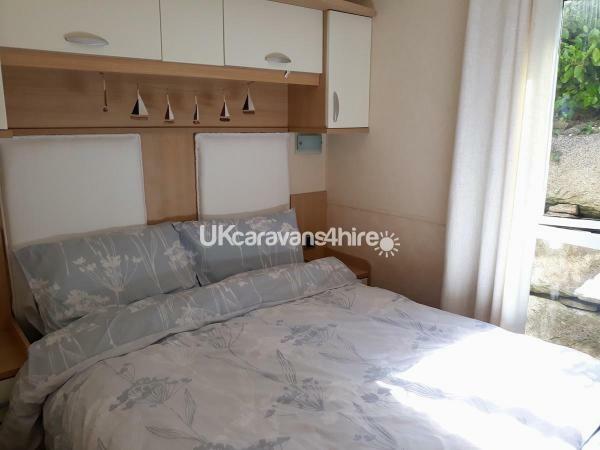 The caravan is well equipped and presented in a fresh 'seaside home' theme. 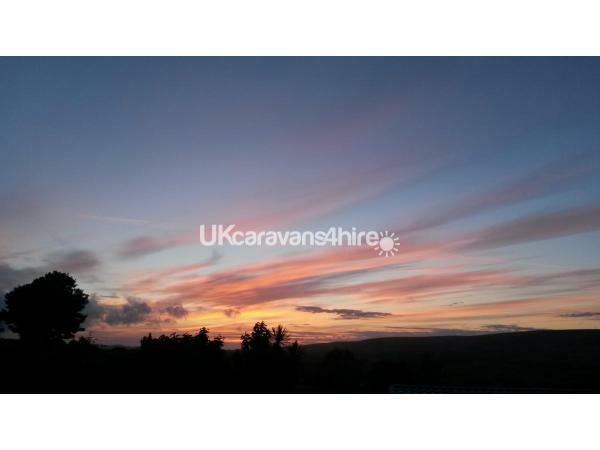 Weekly bookings only - short lets not available . 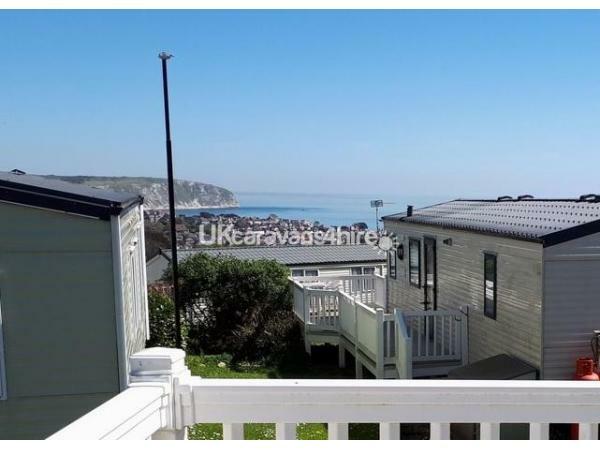 Situated on Swanage Coastal Park which is all about exploring (direct access from the site to tracks leading to the South West Coastal Path and Jurassic Coast). There are no bars, restaurants, or entertainment on site, but you are able to utilise these facilities on an adjacent site (5 mins), as well as the swimming pool and gym (charges apply). 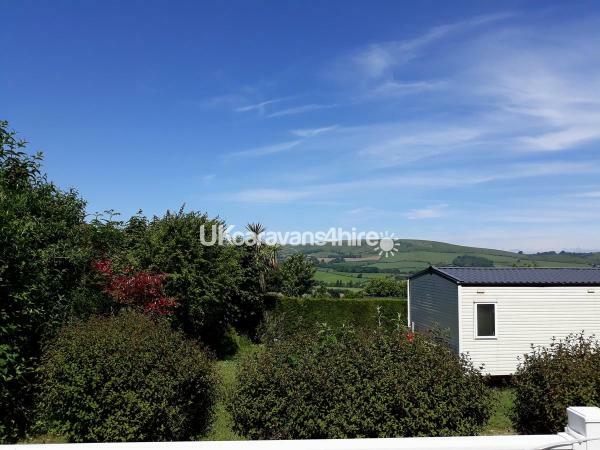 This lovely holiday home offers 2 bedrooms (1 double, 1 twin) and ideally suits 2-4 people. 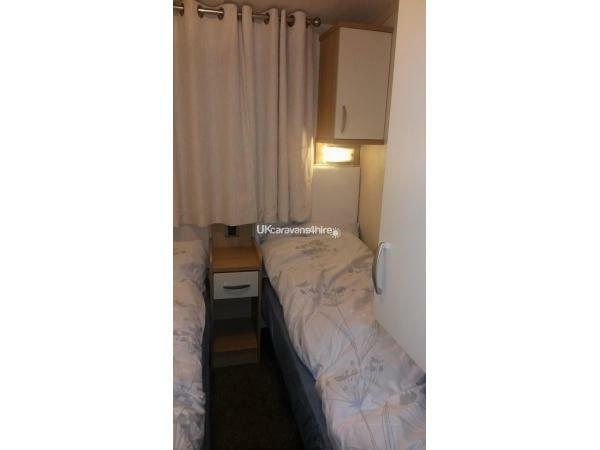 It has a well equipped kitchen with full size fridge/small freezer, microwave and cooker. 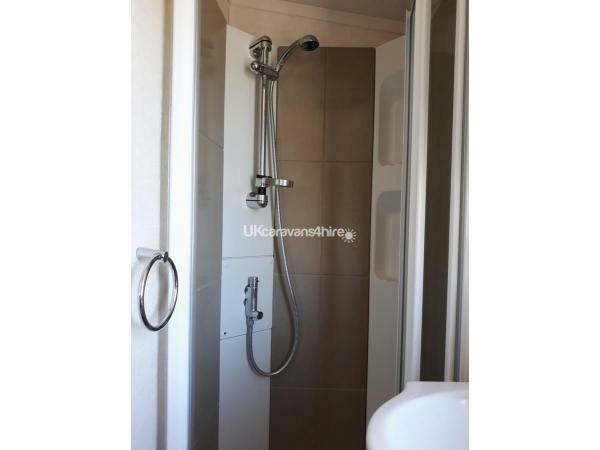 The shower room provides a small shower cubicle, wash hand basin and w.c. Hot water is 'on tap' from the gas boiler, which also provides central heating (which hopefully you won't need!). Bed linen, tea towels, toilet paper and soaps are supplied. Welcome pack of tea, coffee, sugar, pint of milk, butter and a loaf of bread - so you just need to bring your bath and beach towels! 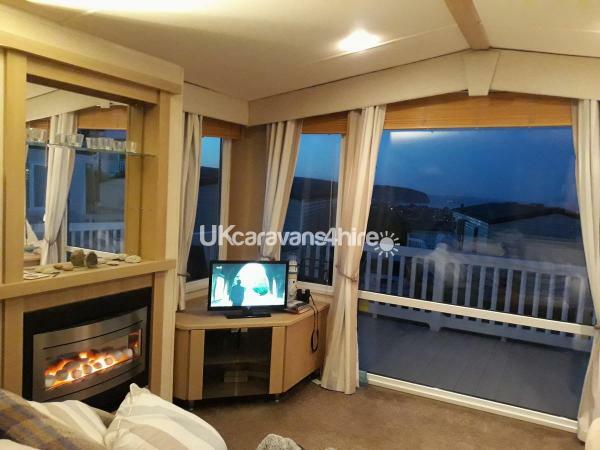 The lounge has a home from home feel with lovely views as well as a stone glow effect electric fire too. A TV is provided with Free View, board games are available as is WiFi, which is included in the price. Lettings are Saturday to Saturday with check out at 11am and check in at 3pm. A deposit of £100 is required, with full payment 4 weeks before your stay via preferred payment method of bank transfer. Sorry no pets or smoking. The beautiful beach is only just over a mile away, as is Swanage Town with its restaurants, shops, bars, pubs and takeaways, as well as the superb Swanage Railway with its steam loco's to Corfe Castle and diesels linking to Wareham, as well as a brand new service linking to Weymouth. The 'Purbeck Breezer' buses provide a scenic ride to Bournemouth via the beautiful areas of Studland and Sandbanks, including the chain ferry. This is a truly stunning area offering diverse activities and places to visit, all accessible via walking, good transport links and car. Site office with information area providing leaflets on 'what's on' and 'where to go'. 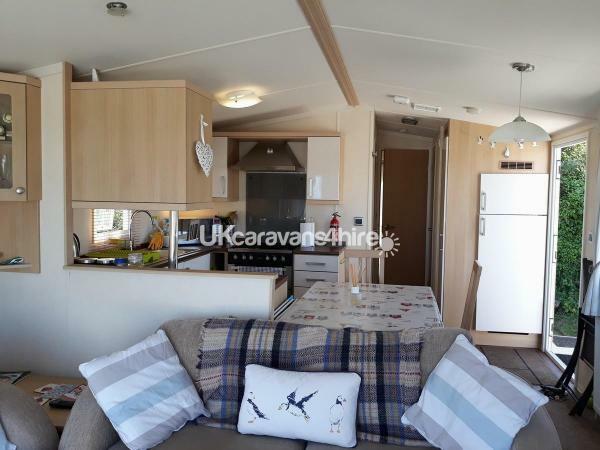 Swanage Coastal Park, Priests Way, Swanage, Dorset, BH19 2RS. No reviews found. 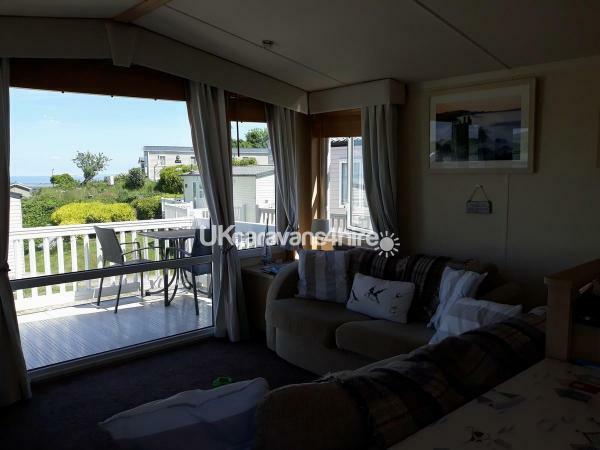 If you have recently stayed in this holiday home please leave a review, it only takes a few moments and will really help future guests when they are searching for holiday accommodation at Swanage Coastal Park.